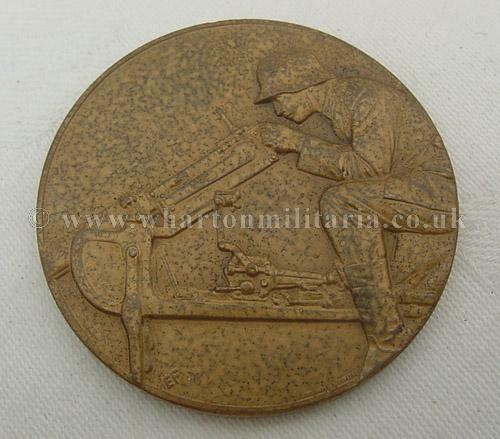 1931 dated 4th prize medal to 12 machine gun company of 14th Inf. Regt, approx 50mm dia. 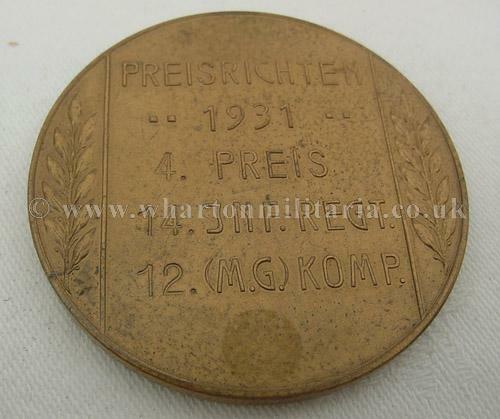 and of a bronze like metal, excellent condition with some blotching to the finish. Image shows a gunner with an MG08/15 sledge mounted.